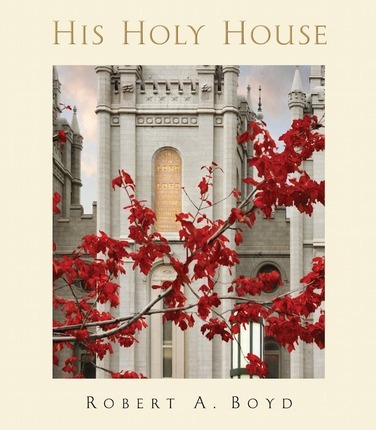 I was recently able to take a look at a beautiful coffee table book called His Holy House by Robert A. Boyd, published by Deseret Book. 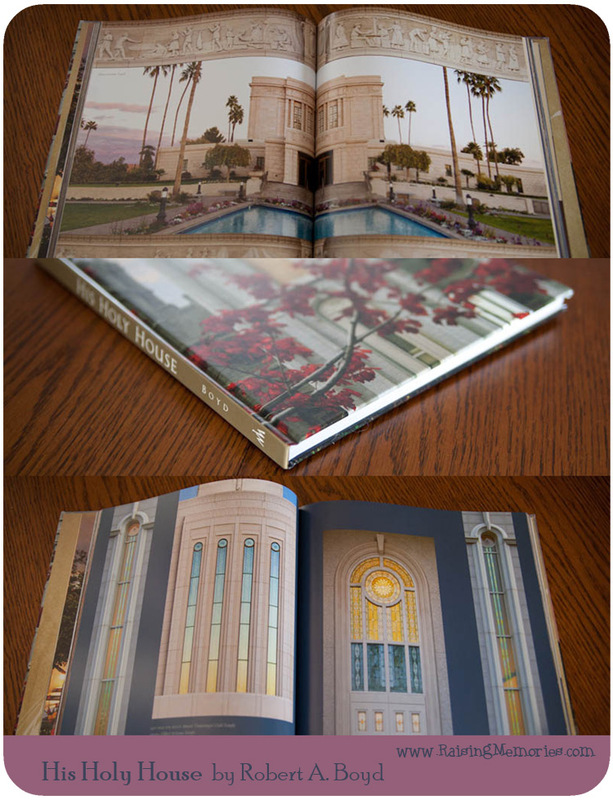 It is a 10.5 x 12" hard cover book of photography and quotes about the Temple. Underneath that is a beautiful photo cover with a photo on the front (the same photo from the dust jacket, but it covers the whole front of the book, without text) and the back of the book (shown below). I've taken a few photos of the book to try to give you an idea of what it's like. You can see a few more spreads from it here. 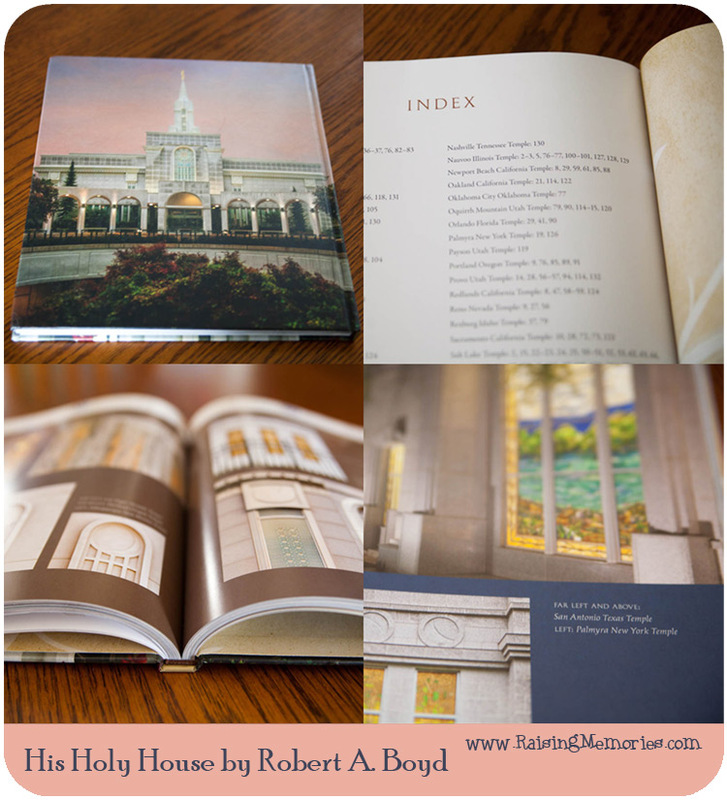 At the back of the book is an index where you can look up a specific temple and find the pages that have photos of it. 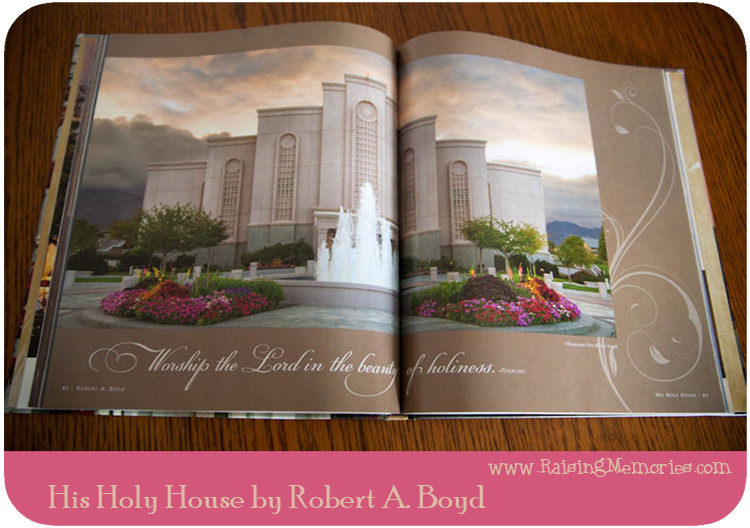 The pages are high quality, full colour, and contain beautiful photography by Robert A. Boyd who has travelled all over the United States and Canada, photographing temples. Like many members of our church, the temple has special meaning to Robert and his wife, because it is a symbol of eternal families. They lost a son and have several adopted children who, because of temple ordinances, they can be together with for eternity. Photographs range from landscapes to detail shots that show the beautiful, detailed workmanship of the temples. I love to see the gorgeous stained glass windows up close, the carvings on the temples and the landscaping including beautiful flowers, trees, and fountains that are on the grounds of the temples. This would be a lovely book to have sitting out in your home, or a beautiful wedding gift! Disclosure: I was provided a copy of the book for review purposes. All opinions shared are my own.